I love this recipe. 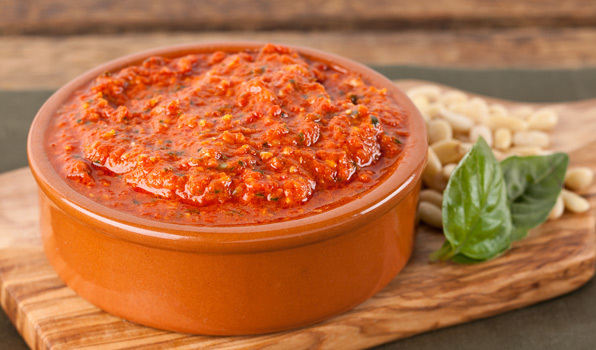 It is so good as the sauce on a pizza, over pasta, and a dip for pita chips. Add garlic, roasted red peppers, sundried tomatoes, basil, pine nuts, red wine vinegar and 1/4 cup olive oil to food processor. Pulse until smooth, adding more olive oil if needed. Season with salt and pepper.